It seems like everything causes cancer these days. Just last week there were reports citing mouthwash as a potential risk. That’s right; mouthwash! Isn’t that what we use to kill germs and keep our mouths healthy? There’s not a day that goes by without news of something we’ve enjoyed or undertaken for years threatening to cause us harm. So, how do we know what we should and shouldn’t be doing? Well, there’s a definite difference between being paranoid and being vigilant. 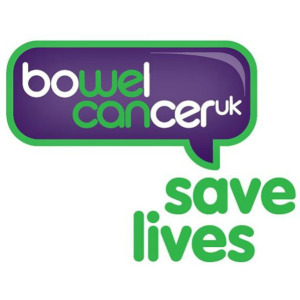 That’s why the entire month of April has been declared as annual Bowel Cancer Awareness Month; so that you have the facts. Today, a top pre- and post-natal fitness guru took to Mother & Baby Magazine’s Facebook page to answer your questions about fitness, pregnancy and getting back in shape on behalf of Kegel8Mum, answering questions on everything from why we need to exercise our pelvic floor to questions about getting back a flat tummy after an unplanned C-section. 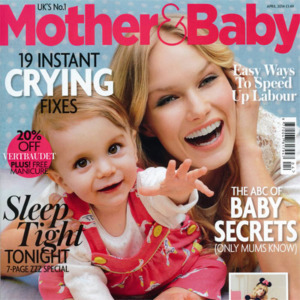 Kegel8 Mother Nurture has been featured in this month’s Mother & Baby Magazine as a great way to “strengthen your muscles before pregnancy and rebuild muscle strength after you’ve given birth”, and telling how an electronic toner like Kegel8 Mother Nurture “targets 90% of the muscles you need to work, making them more effective”. Why Use A Manual Pelvic Floor Toner? So you’ve been told that you need to do your pelvic floor exercises? Maybe you’ve just had a baby, maybe you’re suffering from some leaks, or maybe you just want to get your muscles strong, healthy and in great shape. But, it’s not always easy to do your manual pelvic floor exercises, and every day we get calls from Kegel8 ladies asking for advice about whether they are using the right muscles, how often they should be exercising and how long they should be ‘lifting and squeezing’ for. That’s where a Kegel8 manual pelvic floor toner comes in. Kegel exercises aren't just for girls - the male pelvic floor plays a vitally important role in men's health too! Watch our Kegel8 V For Men infographic to learn more about the male pelvic floor and why you should be exercising yours too. Kegel8 Mother Nurture is the latest and best way to help get you in shape pre-pregnancy, help you through the pain of labour, then help you get back in shape after your baby is born. Did you know that 45% of new mums suffer bladder weakness, so if you're in this group, you're definitely not alone... Watch our video to find out more. Kegel exercises are a vitally important part of every woman and man's exercise routine, and are vitally important to help you to get strong and healthy from the inside out. Your pelvic floor is like any other muscle in your body, and if you don't exercise it, it will become weak. In this video, Stephanie Taylor, Kegel8 founder and Managing Director talks to us about why Kegel exercises are such an important part of a strong and healthy body, and offers great advice on what you can do to help strengthen your muscles, prevent leaks, improve intimate sensation and more. At Kegel8 we offer more than just the UK's leading range of pelvic floor toners - we offer support and information to women and men for the best in pelvic health. But to do this we need your support. 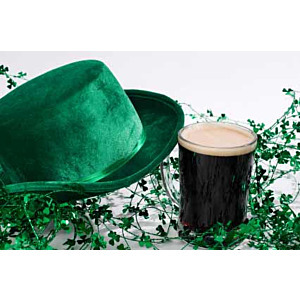 Happy St Patrick’s Day from Kegel8! Oh to have the luck of the Irish! We know that the odd glass of Pinot Noir with our evening meal is harmless. Indeed, a single glass of red wine could actually be good for us. And we’ve all met those people who insist they could live on Guinness, because it’s “full of iron”. Well, it’s true that an alcoholic beverage here and there won’t do us any harm; but where do we draw that all important line? What if one drink turns into two, then three, then... alright; you get the picture. But, today is one of the biggest drinking days of the year, and we’re certainly not suggesting that everyone becomes teetotal; it’s how we manage it and take care of ourselves that counts.